Being able to create quick and healthy hot meals becomes increasingly important as children get older and need to learn skills for independent or supported living. Following simple recipes provides opportunities to work on reading and listening skills, sequencing, nutrition, hygiene and learning to use kitchen tools. The key thing to remember is to start with recipes that are simple enough to follow with limited assistance, building up slowly to add in more complex skills over time. 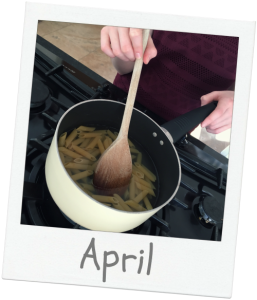 We’ve already looked at preparing some non-cook simple meals for breakfast, snacks and lunches in our Life Skill series November blog using symbols from our Food & Drink Basics pack. A new extended version of this pack is now available, Food & Drink Extended, which includes 120 symbols in total. 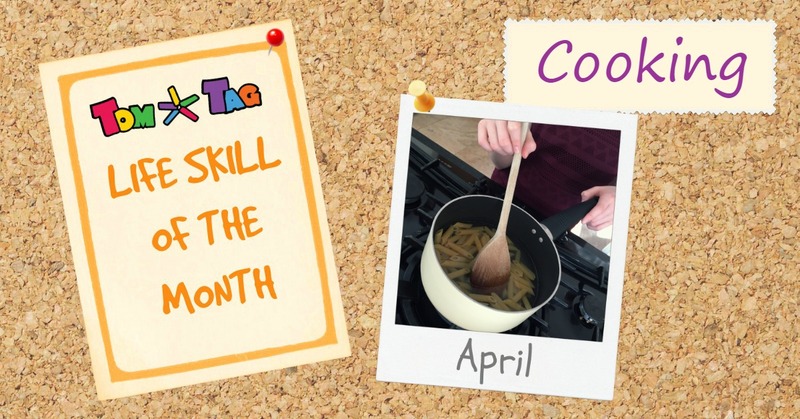 With this pack, TomTag can be used to help teach skills for preparing, cooking and serving simple hot meals such as beans on toast, cheese on toast, hot sandwiches and egg recipes. Here are our tips for using the Extended pack to teach cooking skills with TomTag. Don’t forget to use the opportunity to teach or reinforce rules about hygiene in the kitchen. We’ve included symbols for washing hands and wearing an apron but you could also use blank stickers to add reminders to wipe worktops or store food in the fridge, or use some of the symbols from our domestic chores Clean & Tidy pack. Show the images for the utensils and food that will be needed to create the recipe you have chosen and check you have everything listed before you begin. You might also want to incorporate a shopping trip as part of your preparation to find all the ingredients you will need. Take a TomTag loaded up with a list of ingredients to the shop and use it as your shopping list. 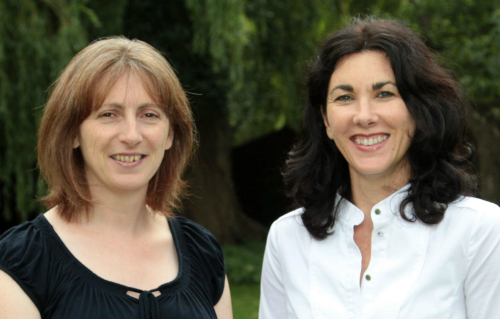 For more shopping with TomTag tips, read our Life Skill blog from last month. There are lots of skills required in the kitchen besides dealing with the food itself. Knowing how to turn cookers and ovens on and off correctly, taking appropriate precautions with hot equipment, learning safe use of sharp knifes and other utensils are all essential skills to be learnt before a young person can be left to cook unsupervised. Build on these skills gradually and move on to the next stage only when the individual is ready and capable of showing the necessary responsibility. Starting with something simple and achievable will boost confidence and increase the changes of the young person being willing to try again next time, possibly with a more advanced recipe. 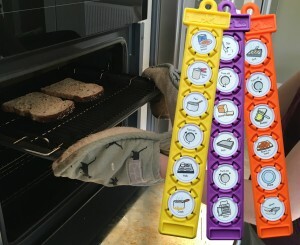 Using a set of TomTag button holders and the symbols we’ve included in our Extended pack, you can quickly create step-by-step instructions for numerous simple recipes such as beans on toast, soup, sandwiches, eggs (scrambled, fried or boiled), cheese on toast and pasta with sauce. Be sure to give compliments and praise and encourage them to keep building on their skills. Let them be the first to taste what they’ve made and ask for suggestions of what they’d like to try next. Serving and sharing meals with others offers opportunities for practising communication and social skills too. Jamie Oliver’s Home Cooking Skills website has a simple and visual layout and many of the recipes even include step-by-step photo illustrations. 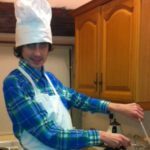 Cooking with Autism also have a useful site with easy to follow recipes written in simple language. Food & Drink Extended sticker pack retails at just £7 and includes 2 copies each of a whopping 120 symbols! It is also available to purchase as part of a new set I can do it in the kitchen which retails at £16.75.